If you’re a PT or professional and would like more information contact us at fingerlakespt@gmail.com or 1-800-422-7226. On Saturday September 23rd, physical therapist, Jim Modera, worked with the cast of Anastasia, presented by Canada’s Ballet Jorgen. 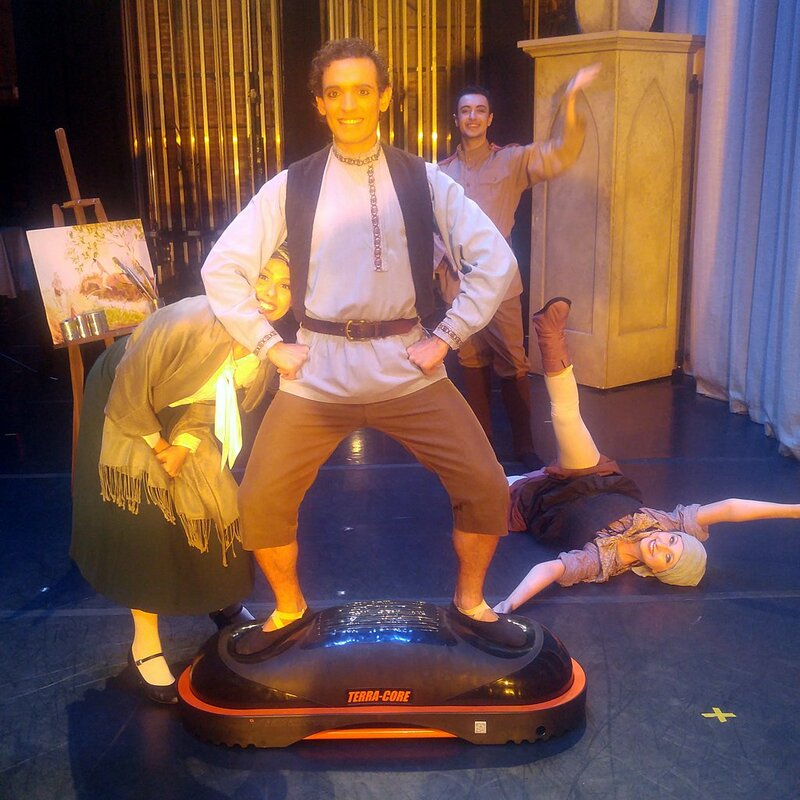 Lead dancer, Daniel Da Silva, is pictured on the Terra-Core which was used to warm up several of the dancers prior to the performance. Jim Modera donated his time and expertise to the dance company to attend to injuries and prepare them for their performance. Anastasia performed by Canada’s Ballet Jorgen at the Smith Opera House in Geneva New York was an incredible experience, beautifully choreographed and expressed with feeling and flawless execution. It’s a step. It’s a balance trainer. 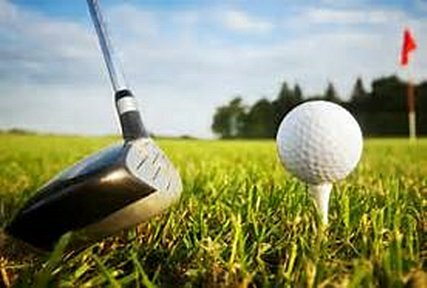 Talk to your golf pro or staff to sign up, or call (800) 423-7226.
by James Modera, P.T. & Dr. Kathryn Friday Scibona, D.P.T. You reach into your top cupboard to get a glass and feel a sharp pain in the top of your shoulder as you reach in. Working overhead for short periods fatigues your shoulder quickly. These are signs of impingement syndrome. Shoulder impingement is a common cause of pain for many people. Shoulder impingements interfere with people’s ability to perform daily activities such as their jobs, sports, personal hygiene, recreational and household activities. If left untreated, shoulder impingement may lead to more serious conditions that require surgery. When treated appropriately, physical therapy can eliminate pain and restore full function. 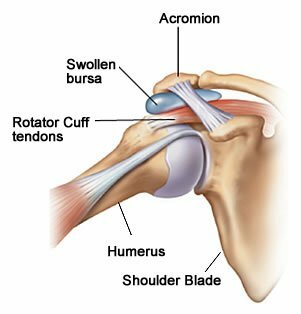 An impingement in the shoulder occurs when the rotator cuff tendons and/or bursa are pinched between the bones in the shoulder joint causing pain, inflammation and damage. In a shoulder with an impingement, the humerus (the large bone in the upper arm) shifts in an upward direction and sandwiches the mentioned structures between itself and the Acromion (roof of the shoulder), as you lift your arm up in front or to the side. Shoulder impingements are caused by various factors including anatomy, predisposing factors like limited flexibility, rotator cuff weakness, arthritis, trauma and poor posture. A narrowing in the shoulder joint either caused by bone spurs or arthritis irritates the soft tissue in the shoulder. As you raise your arm the teeth-like projections from arthritis inflame bursa and pierce the rotator cuff. Certain occupations like linesmen and carpentry require movements which narrow the joint space and cause an impingement. Repetitive, overhead movements like painting may also cause an impingement. Poor posture results in cumulative trauma which can be an origin for an impingement. Poor posture can shift the acromion forward and down. This posture paired with limited flexibility can position the top of the humerus on the rotator cuff eliciting constant pressure which is worsened with movement. Slouching through the upper back and rounding of the shoulders are the common postures which lead to shoulder impingement. Eventually people with poor postures may begin to experience a dull ache in their shoulders or upper arm after overhead work or even driving a car. Initially, it is important to rule out other causes of shoulder pain which are not directly related to an impingement such as referred neck pain. The neck may also cause pain in the shoulder similar to an impingement. Overuse of the upper trapezius muscles and other muscles attaching from the neck may occur due to a lack of function in the shoulder. The ensuing pain from the neck can co-contribute to the overall pain in the region. Once a proper diagnosis is made your physician may order Physical Therapy to treat the symptoms and causes of a shoulder impingement. After an evaluation the physical therapist will prescribe an exercise program specifically based on observed patterns of joint capsule tightness and muscle weakness. A common and safe exercise is the shoulder pendulum. To perform this exercise, lean on a table with the unaffected arm. Gently dangle the sore arm so it is perpendicular to the floor. Swing your sore arm in small circles about the diameter of a dinner plate ten times both clockwise and counter clockwise. This gentle exercise takes pressure off of the rotator cuff while stretching the joint capsule. After starting exercises such as the shoulder pendulum the physical therapist will prescribe a series of rotator cuff strengthening exercises including therapy band work, scapular (shoulder blade) stabilizing exercises and stretches. The muscles surrounding the shoulder blade and rotator cuff will require exercises which will strengthen while not irritating the tissue. Throughout your physical therapy program the therapist will discuss the proper ways to sit, stand and move while maintaining good posture. Instruction in the most efficient way to perform your job, sport or recreational activity is key to long term resolution of your condition. Shoulder impingement is a common injury. If left untreated this injury can be debilitating and can lead to rotator cuff involvement and chronic pain. Physical therapy is a treatment is a non-invasive treatment which can help you to heal yourself. “Oh the joy of having a baby” is priceless, however it can take two years to recover from the stress and strain it puts on a woman’s body. During pregnancy the additional weight in the abdomen from the growing baby increases intraabdominal pressure and intradiscal pressure. This increased pressure paired with ligamentous laxity can trigger low back pain, hip pain, sacroiliac pain, sciatica and other lumbopelvic issues. Physical therapists have the skills necessary to create an all-inclusive recovery program during pregnancy and/or injury sustained during delivery. Pain or limited function typically brings a patient to a physical therapy office. Physical therapy is an all natural approach to find a self healing solution to your pain and dysfunction. A physical therapy evaluation and program treating lumbopelvic issues will include correcting: movement dysfunctions, pelvic asymmetry, core weakness, and faulty body mechanics. Using this information an individualized treatment strategy is created. A movement dysfunction in the sacroiliac joint can be present and asymptomatic prior to pregnancy. The ligamentous laxity caused by the hormone relaxin and rapid abdominal weight gain during pregnancy can shift the bony pelvis out of alignment straining muscles, spraining ligaments, tractioning nerves and aggravating lumbar disc problems. During vaginal delivery the pubic bones separate to allow safe passage for the baby through the birth canal. In some cases the pubic bones do not return to their anatomical position leading to weakening of the pelvic floor musculature. If not properly treated, this misalignment can cause chronic low back and pelvic pain. Muscle energy techniques are utilized by Physical Therapists to direct the pelvis back into alignment through a guided isometric contraction at a specific angle and a specific effort. Once the proper alignment is restored a muscle balancing exercise program is prescribed to increase core strength and stability while returning a patient back to normal daily activities. Attention to your core strength is critical in the early stages of your exercise program. “Physical Therapists are qualified to increase core stability through exercises such as Pilates in a safe and properly prescribed manner”, states James J. Modera, P.T. Sometimes it is necessary to have more specific training of the pelvic floor. “Physical Therapists who have received specialist training in Women’s Health and Pelvic Therapy will instruct a core stability program for the pelvic floor using the principles of the Kegel exercise and stability training”, states Kathryn Scibona, D.P.T. Even though a woman has gone through the challenge of delivery there is still a small child who needs mom’s care. The postures required by childcare can cause back, neck, and leg pain and symptoms. Using proper body mechanics to perform these tasks reduces the risk of further injury and creation of chronic pain. Physical therapists may receive additional training in ergonomics to teach patients strategies for all childcare while protecting the potential hip, pelvic or low back injury. For example, when picking up your infant and/or car seat bend at the knees and look up keeping your spine straight to avoid neck and back strain. This is especially important when lifting your child in and out of a car seat or crib. Low back support, proper support under your child and avoidance of excessive forward bending of the head when breast feeding will save you from a “pain in the neck,” as well as low back pain. An exercise program post pregnancy is necessary to regain your prior physical condition. Exercise classes for the general public may be too much at first. Once released to begin an exercise program by your obstetrician, a stationary bike with a comfortable seat may be a safe place to start. A walking program should be implemented first before returning to running. Running too soon can make you susceptible to ligamentous strains in the lumbopelvic region. A Physical Therapist will prescribe a program based upon your current and prior level of activity taking into account current medical conditions to help achieve post pregnancy weight loss, muscle strength improvements, and prevention and abolishment of lumbopelvic pain. In conclusion, your care plan should entail education on exercise and hands on treatment based on a thorough physical examination by a qualified Physical Therapist with experience working with women’s health issues. Movement dysfunction– increased or decreased movement in a joint which causes strained muscles and tendons, sprained ligaments, and irritated nerves triggering pain. Relaxin- A hormone produced by the placenta during pregnancy which increases flexibility in the uterine ligaments as well as ligaments throughout the rest of the body. Pelvic floor– The muscles supporting the inferior portion of the spine keeping abdominal contents in place as well as supporting the spine and pelvis. 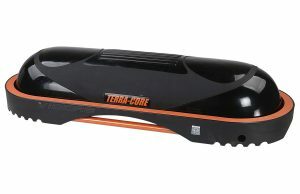 Core- Any muscle which has an attachment to the spine or pelvis. Kegel exercise– An exercise which is aimed at strengthening the pelvic floor.